Grade Potential helps kids navigate the academic transitions of the middle school years throug 8th grade tutoring catered to them. 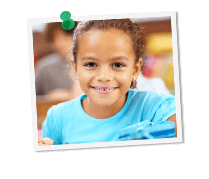 Our tutoring program covers the specific subjects and course materials of that grade level – giving kids the tools to maximize potential for success. At Grade Potential, we know there is more to academic success than simple GPAs. That’s why we not only provide personalized academic support, but also we provide this alongside ongoing encouragement and instruction. Your 8th grade tutor will help your son or daughter gain confidence and motivation to move towards his or her goals—and on your schedule and from the comfort of your own home. Tutoring 8th grade students is a great way to prepare them for the more challenging high school years ahead. Through personalized, one-on-one 8th grade tutoring, we lay an academic foundation that can be built on as time goes by. Our 8th grade tutors are committed to helping your children maximize learning outcomes for greater and greater levels of success.